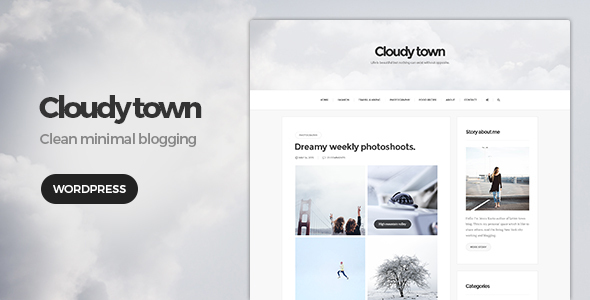 Cloudy Town is a Minimal Blog Theme. It makes theme becomes exquisite and attracts whitish & gray style is feels compatible for the readers. Note: The demo images are not included in the theme.